A new round of the Liaison Collaborative has begun, and this lovely winter sled from Sway Dench caught my eye. 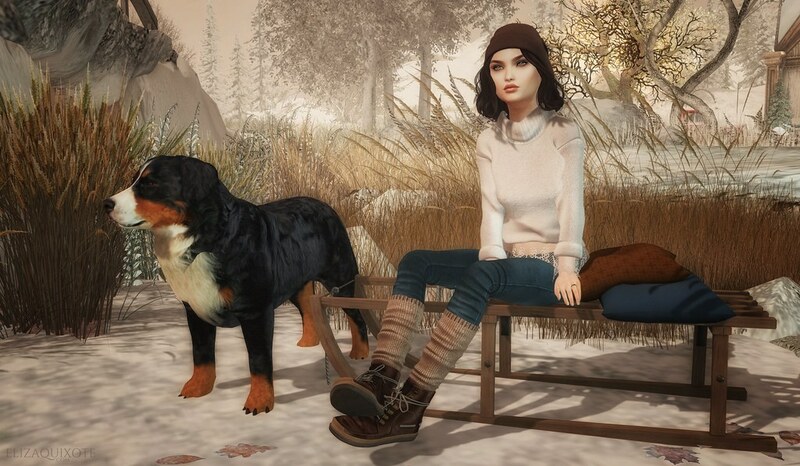 The winter weather is a Bernese Mountain dog’s favorite time to be outside, and to my delight Nicehoon Langer of Tomato Park has made a lovely Berner to add to my SL. There are several different breeds available from Tomato Park. The REAL Berner in my life!